Company To Get Cat Odor Out Of Houses When Everything You’ve Tried Has Failed!! We Get Cat Odor Out Of Houses each and every time regardless of how severe the odor problem. After our odor elimination process the smell of cat urine odor will not return! Our technicians use tried and proven remediation methods to eliminate cat urine odor without enzymes, ozone, or deodorizers! We have a straight forward approach to get cat odor out of houses. 1. Find the the odor source. 2. Evaluate the severity. 3. Determine the best treatment method that matches our customer needs and budget. 4. Get the odor out! Severe cat urine odor that smells like ammonia is no match for the Pet Odor Removal Service! 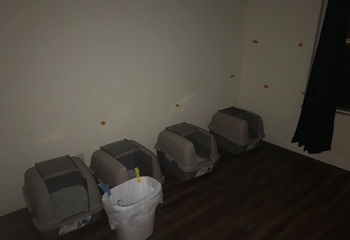 Removing urine odor from houses used as cat rescues, pet day care or hoarding is not unusual for our crew! 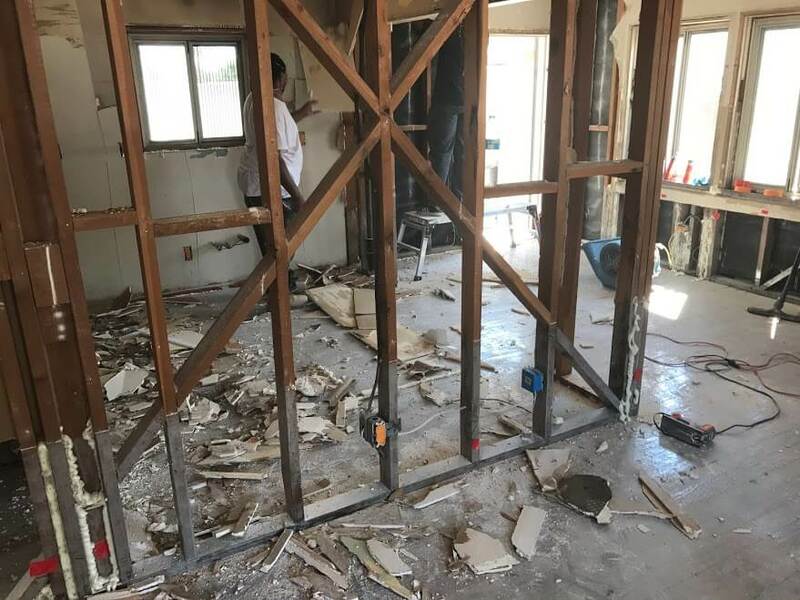 We’ve seen homes destroyed by a single family cat and a several homes that have been in the news or cited by the City for having 100’s of cats! To get cat odor out of houses a Pet Odor Inspection is Step 1. The pet odor inspection is the most valuable service we offer especially for new home buyers or sellers. 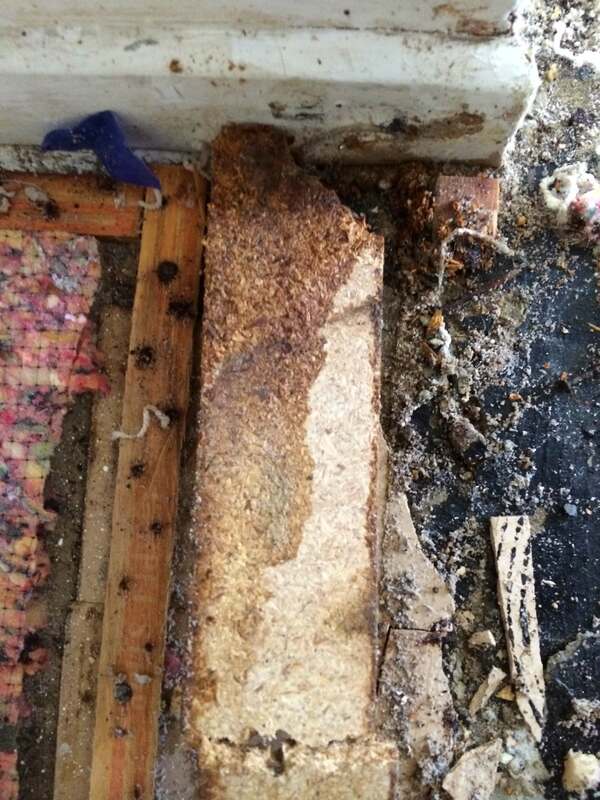 We show you the extent of the damages and itemize the cost to get rid of the cat urine smell. We want our customers to make a well informed decision before hiring us to eliminate pet urine odor. 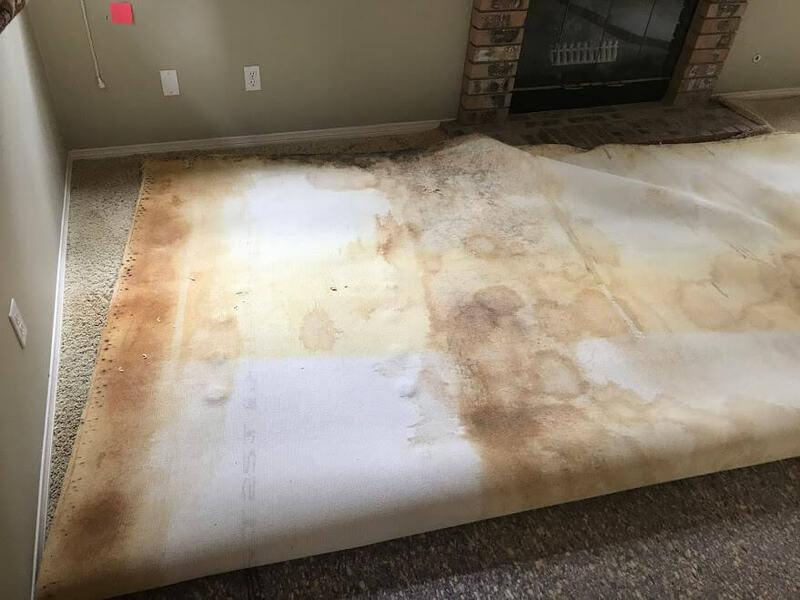 Our Pet Odor Inspection has help Sellers avoid disclosure issues when marketing their home as well as helped buyers place an offer based on the results of the inspection. 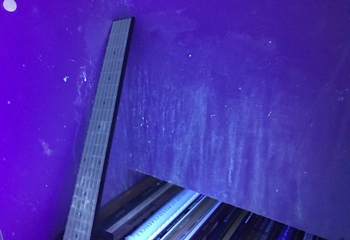 Before we make any attempt to get cat urine out of houses we use a uv-black light and other tools to find and identify the urine stains and moisture; this part of our service is crucial and its why so many people fail at eliminating cat urine odor and its because they are cleaning in the blind… if you don’t know where the urine stains are how can you remove the odor? 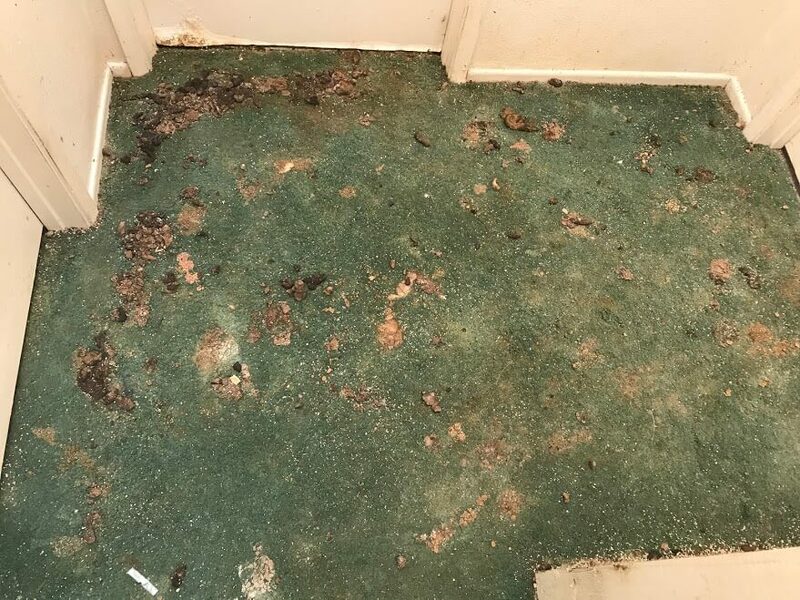 Our technician welcome the chance to get cat odor out of houses as well as removal of severe cat urine from hard surfaces. Removing cat urine is our specialty and we are well equipped to treat most hard surfaces that stink. Our process involves meticulous surface preparation before we apply our odor encapsulator. 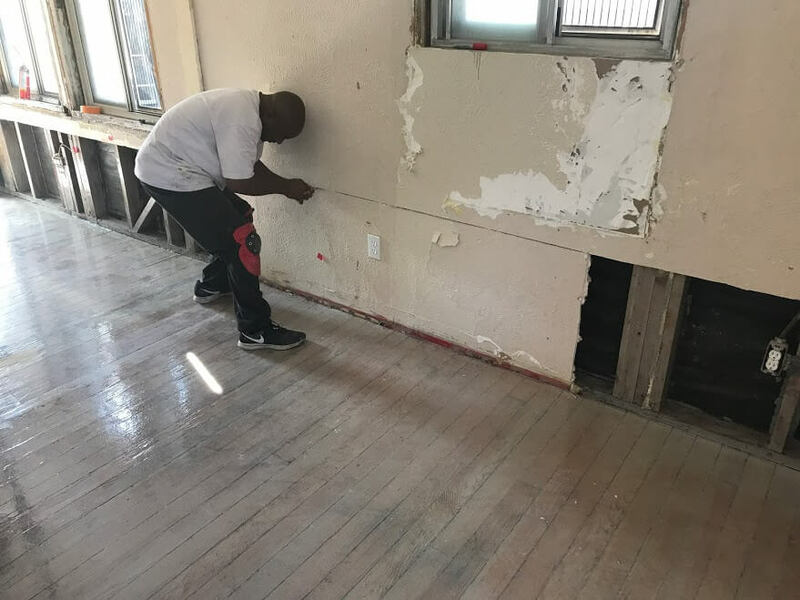 We make sure all the the surface areas we will be treating has been cleaned, sanded, dried and free of any dust, paint or moisture before applying the odor encapsulator. 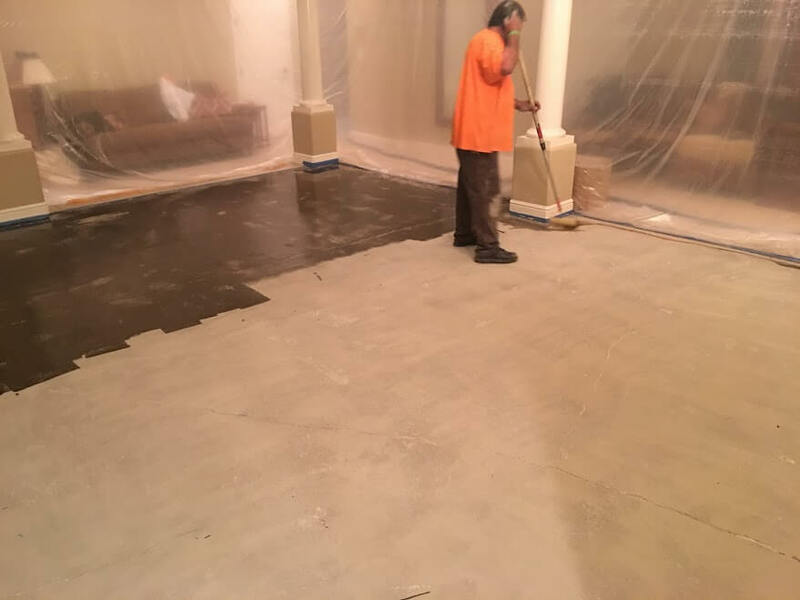 In addition to treating the subfloors and concrete we can also eliminate urine odor from tile grout, hardwood floors, sub-floor, natural stone tiles and clay pavers.